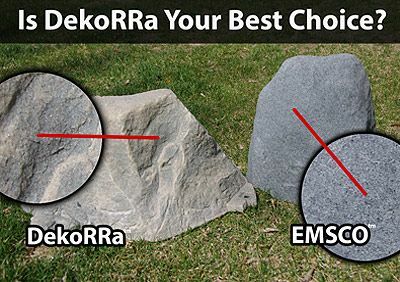 Big, bold and beautiful the Dekorra Model 104 Mock Rocks have the girth and height to make large, unsightly objects disappear and blend into the landscape as if David Copperfield himself had a hand in it! 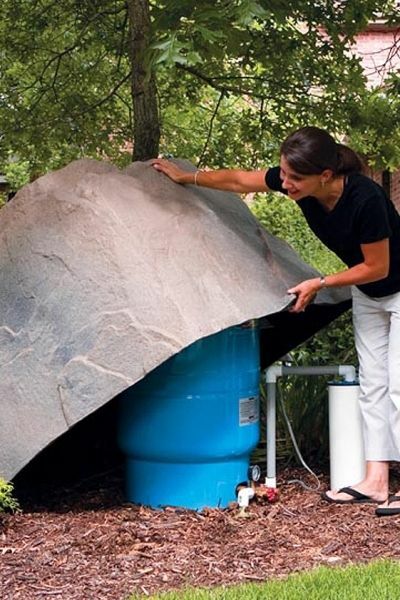 Pressure tanks, utility boxes and other yard and landscaping blemishes are no match for these large sized fake rocks. And whoever said “Big is beautiful” is right on the money, because this one is a real pageant winner! 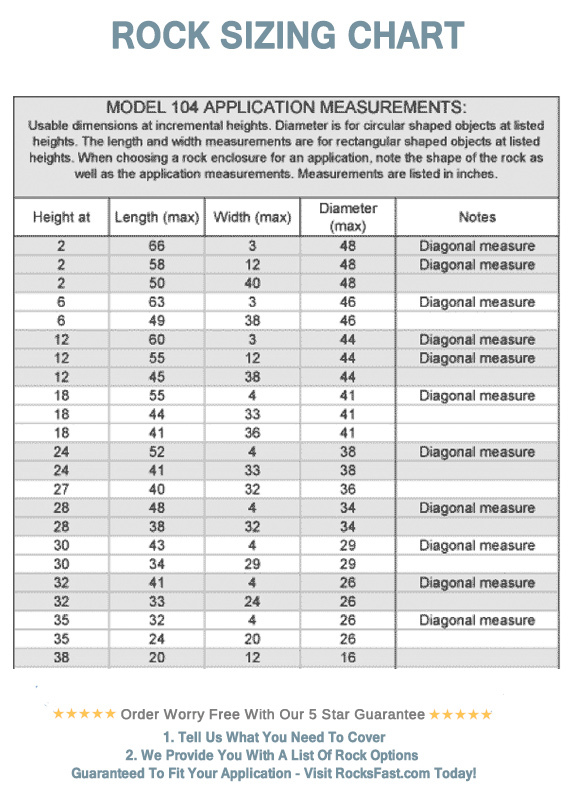 Please Use The Sizing Charts Below Prior To Ordering These Model 104 Fake Rock Covers. The DekoRRa Mock Rock 104 is a real dandy. It loves hiding those big blue water pressure tank and pump assemblies, and it’s large enough to handle a wide variety of layouts. The texturing on this model is incredibly realistic, and the colors are equally convincing. Slide a hand across the surface and you’ll feel a nicely textured gritty exterior which feels just like the real thing. Over time as dust settles into the little nooks and crannies, things become even more realistic and true to life. We’ve even seen moss an lichen growing on these faux boulders when placed in shady areas. Impressive to say the least. And you need not worry about longevity. The resin used during the molding process is infused with a high tech U.V. retardent which totally rules out any sun fade or degradation of strength or durability. Even sub-zero temperatures are no match for these fake rocks. Stones thrown from lawn mowers, string trimmers, abuse from playing children, nothing can phase these beautiful slabs of hollow faux granite. Optional vents can be purchased with rock and we will paint them to match and install them free. Insulation (R-4 or R-13), can be added to rock purchase for added freeze protection when covering backflows, well pressure tanks etc. – Included ground stakes are easily pounded through flanges at the base of the rock. 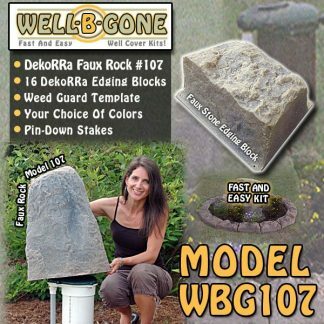 – Adds character and curb appeal to any property or landscape. – Totally maintenance and worry-free – set it and forget it! – Unmatched durability and longevity – totally weatherproof. – The lightweight hollow design is easy to use. – Environmentally responsible design – 100% recycled polymers. This rock was larger than I wanted it to be but it was the only option we had to cover out giant ugly blue water well tank and pump in the back yard. I must admit it looks pretty amazing and rock like even with the vents in it. 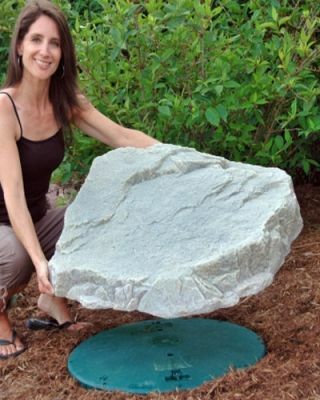 This rock is so real that our landscape contractor asked where we got this boulder! Fooled him, too! 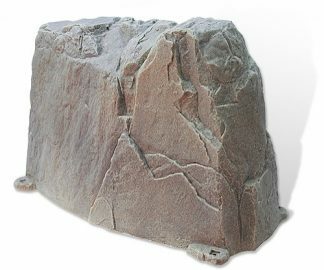 This faux rock cover solved the eyesore of two utility boxes (TV and telephone) in our newly designed and built landscape project. 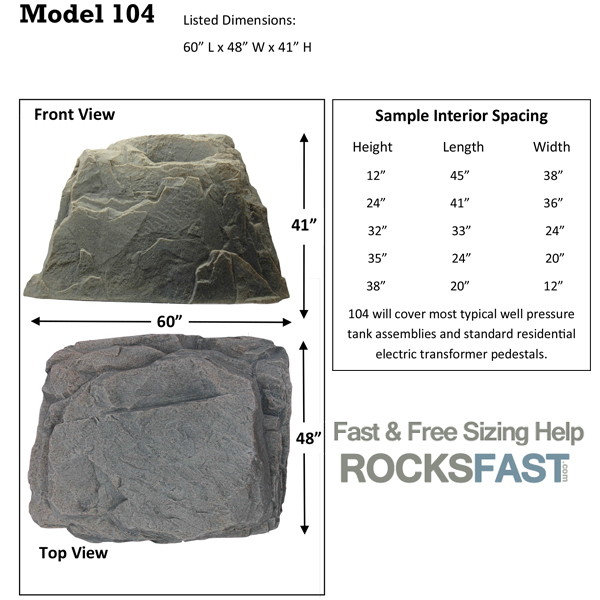 There is no question that what Rocksfast says about its realistic appearance…and they were most helpful when it came to solving dimension questions. Thank you very much Rocksfast !